In this world of technology many forms of social interaction take place online in a virtual environment, I wrote this poem about a virtual world called Second Life, where I attend classes on an avatar. I also work in this world as a creator and designer, helping others create their avatars and shape their virtual world to their liking. How would you feel about the real me? Once I was young and good looking, now I'm a little worse for the wear and tear..
Well, I'm not really seeking, I do well with the ladies even in my current state. The picture on my profile is really me..I don't usually wear my hair down though. if it expresses how you feel or how you'd like to look, then that's cool....the woman on your profile ain't bad looking, if that's you or not I don't know. I'm comfortable with how I look without being virtualized, but then I don't do world of warfare or any other site anymore these days. I check email (sometimes), check yahoo for news and weather, go to youtube, and come here. That's the extent of my web presence. 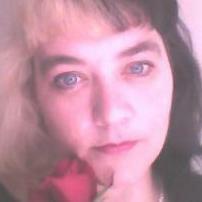 *smiles* Yes the woman in the profile pictures is me, they were all taken in the last year. As for my AV she has many different forms depending on my mood of the day, she even has a lust demon form as well as a humanoid cloud leopard lol. Second Life is not at all like WOW (which I play) or MMO games, its not a game really but a virtual reality. I attend classes on my AV, its much nicer to have an avatar than to attend in a chat room, that way the instructors can provide visuals. I actually create the world around me for other players to enjoy. If I want a tree I make one, a house? I create one down to the finest detail. There are entire cities created, one of my favorite places in SL is the DaVinci gardens which brings his inventions and visions to life. I also love Kowloon City and the Missing Mile dark rural community. Its a way to make your imagination come to life and to share it with the world. I'm glad to hear that. You know, the internet and all. I get along much better with women than men in general. Guys just can't deal with me, ego, jealousy and all. Don't know why guys who make ten times the income that I make a year would be like that, but still it is so. Yeah, my photo is like only a few days old. I update my photo every few months or so, because I see it too and I get tired of looking at me. Besides its summer time and I've been working outside, so I'm good and sun baked now. The virtual world sounds really cool, but I know nothing about it. I only am on line when I am home - I don't do computer at work, and I don't have a smart phone. I do have mobile web but no querty keyboard and just Opera Mini as the browser, so I check in here sometimes while I'm on the road but I don't post 'cause it takes me a half hour just to type one sentence on that phone. Well perhaps some evening when you have time I can introduce you to my virtual world, its free to join and there's no game to download just a browser, I think you would like exploring all the wonders it has to offer. *Smiles* I don't have much in the way of tech just my laptop and I have a cell phone but it doesn't work in Canada, it's for when I'm in the US and its just a plain old pay as you go cell. I think in general most men are like that, its the usual 'nature of the beast' and I think subconscious for the most part. I suggest looking up "do you wanna date my avatar" by the cast of "The Guild" on youtube. Virtual world is interesting, bit I travel through so many different worlds as it is..I'm was wondering if you could posts some pics here..seems the thread for it. The best part of being gone for a couple days is when I get back there should be lots of new posts. Take care, see ya in a couple of days. well, I guess there are no more pics of this virtual world...I can see where it may be interesting but probably also time consuming, like anything that has to do with computers.